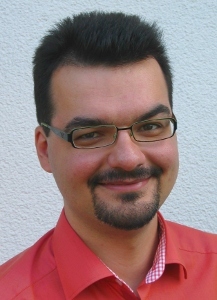 Former Member of research staff at the Department of Computer Sciences 4 (Distributed Systems and Operating Systems Group) of the University of Erlangen-Nürnberg. The list of my publications below was automatically extracted from the UnivIS publication database. Variability mechanisms in software ecosystems. Mastering Variability Challenges in Linux and Related Highly-Configurable System Software. Erlangen, Friedrich-Alexander-Universität Erlangen-Nürnberg, Diss., 2013. (16th International Software Product Line Conference, Salvador - Brazil, September 02 - 07, 2012). Bd. 1. Feature Consistency in Compile-Time Configurable System Software. (EuroSys 2011, Salzburg, 10-13 April 2011). Finding and burying Configuration Defects in Linux with the undertaker. An Algorithm for Quantifying the Program Variability Induced by Conditional Compilation. AspectC++: An integrated approach for static and dynamic adaptation of system software. Challenges in Operating-Systems Reengineering for Many Cores. (International Workshop on Multicore Software Engineering, Cape Town, South Africa, May 1, 2010). Configurability Bugs in Linux: The 10000 Feature Challenge. (OSDI '10, Vancouver, BC, Canada, October 4–6, 2010). Efficient Extraction and Analysis of Preprocessor-Based Variability. (Generative Programming and Component Engineering (GPCE '10), Eindhoven, The Netherlands, October 2010). Facing the Linux 8000 Feature Nightmare. (EUROSYS 2010, Paris, France, April 2010). Dead or Alive: Finding Zombie Features in the Linux Kernel. (1st Workshop on Feature-Oriented Software Development, Denver, Colorado, USA, October 6, 2009). Digital Library : ACM, 2009, S. 81-86. Dynamic AspectC++: Generic Advice at Any Time. (The 8th International Conference on Software Methodologies, Tools and Techniques, Prag, September 23-25). A Quantitative Analysis of Aspects in the eCOS Kernel. (EuroSys 2006, Leuven, Belgium, April 18-21, 2006).